From my family to yours . . . Merry Christmas, Happy Holidays, and all the best in 2019. It’s been far too long since I’ve updated you on my activities, and I’ve so missed connecting with all of my friends in the blogging world and following your adventures. 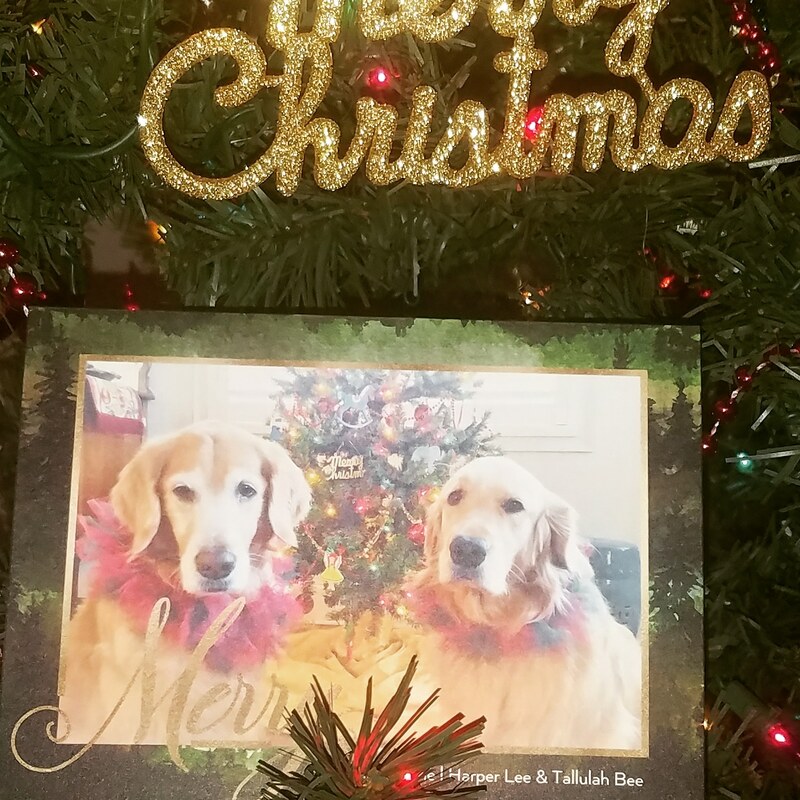 Christmas night seems like a good time to get back at it, and I have a commitment from my human mommy/blogging assistant that she will devote herself full-time–well, as full-time as she can–to sharing my reflections on a Golden life with you once again. Just to let you know, I’m well . 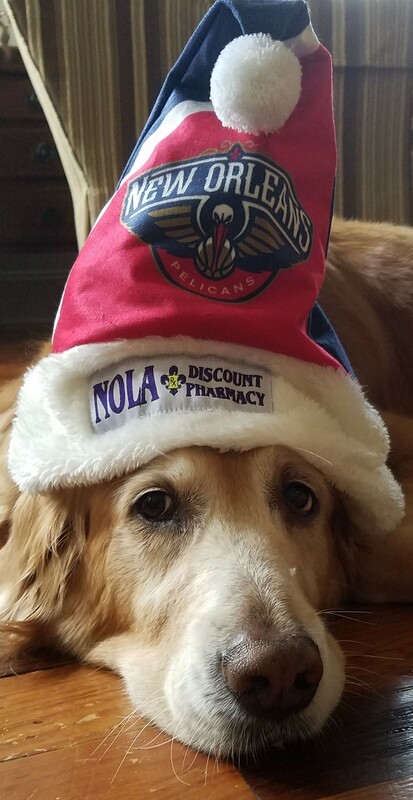 . . still enjoying life as a big sister to Tallulah Bee, sharing comfort and love through a variety of therapy dog activities, and loving life in New Orleans. Get ready for the next 11 days of Christmas posts and updates, and I look forward to reconnecting with all of you. It’s been too long . . . and I’ve missed you. My little sister, Tallulah Bee, attended her first dog show this past weekend. 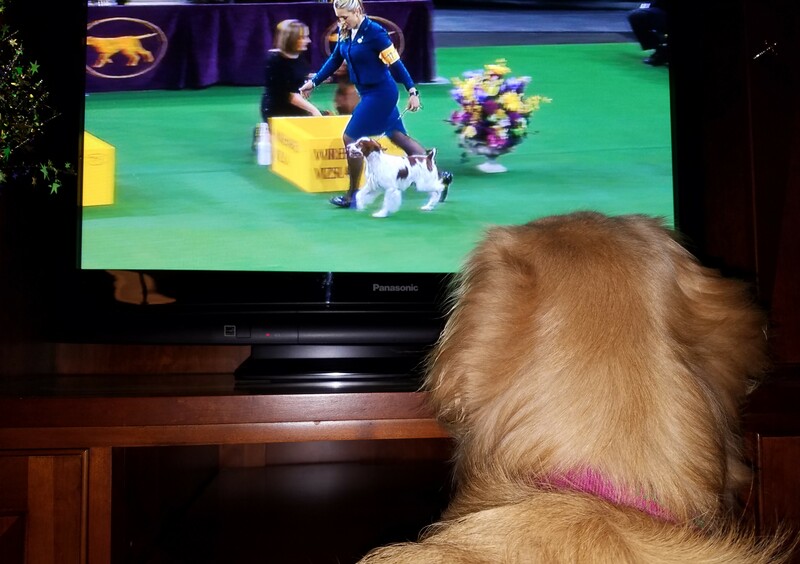 Now before you get too excited, I said she attended her first dog show; she did not compete in her first dog show. 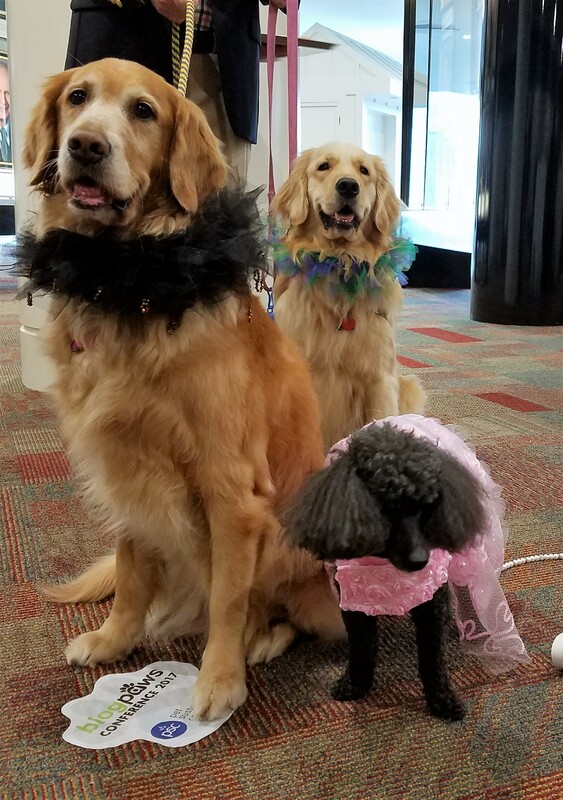 Tallulah and my humans went to the Lagniappe Classic Dog Show to see Tallulah’s littermate Sobe, who was competing for her final championship points, and their breeder Kelli from Rhythm Golden Retrievers. Tallulah may not have been in the ring, but Kelli made her feel like a show dog. 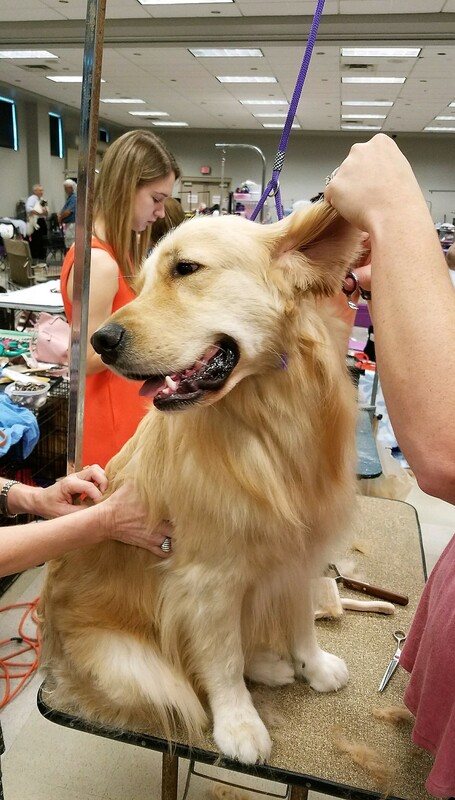 Tallulah got to go back to the holding area, visit with the competitors and their handlers, and hop onto the grooming table while Kelli gave her a Golden champion trim. 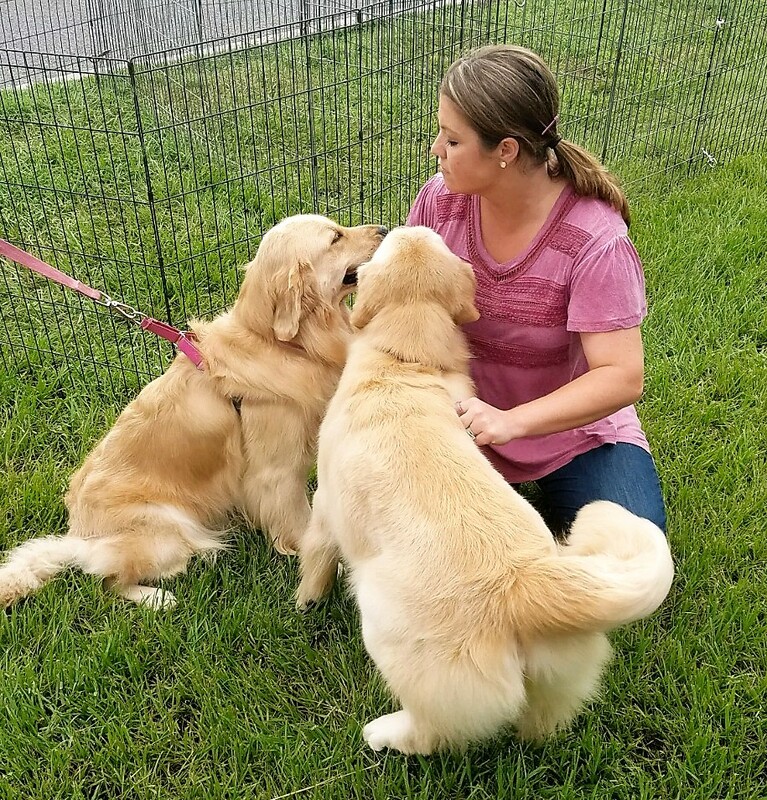 And then Tallulah (left) and Sobe joined Kelli outside for a little love fest . . .
. . . before posing for their “official” Lagniappe Classic Dog Show photo. 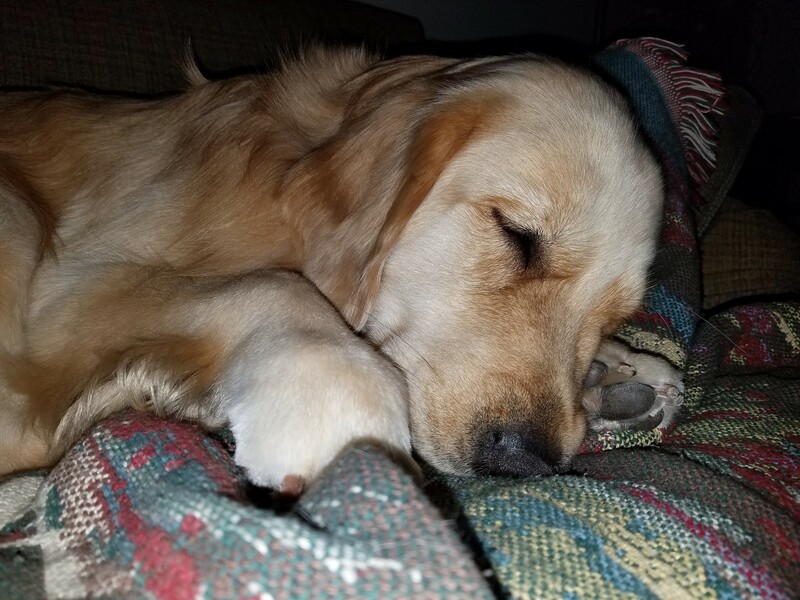 My sweet sister may not be a real show dog, but she’s our little Tallulah Bee CCG (Champion Companion Golden). 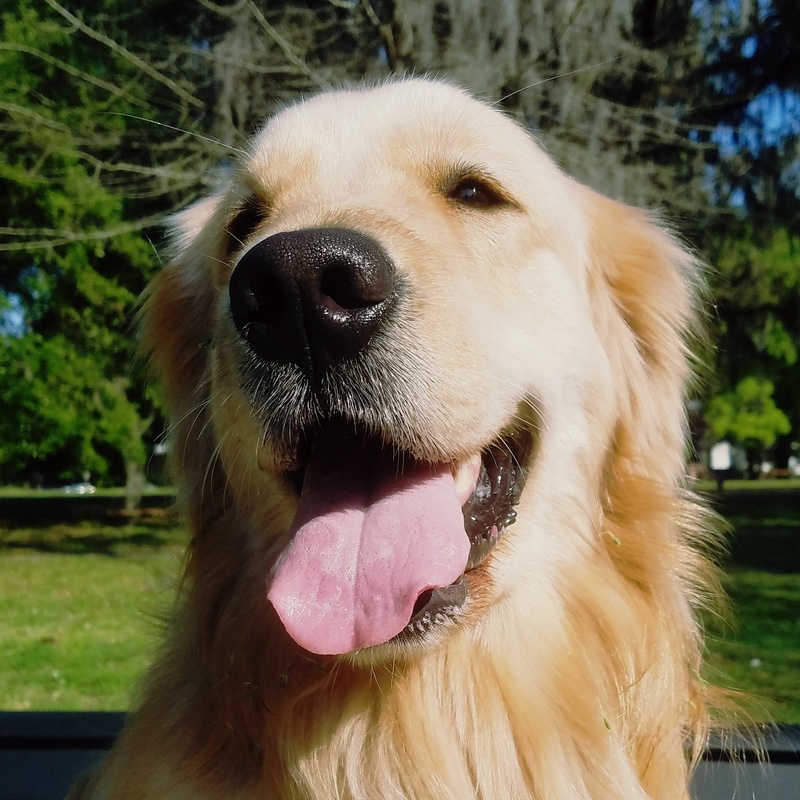 Do you love Golden Retrievers? Are you a Golden Retriever owner? Are you a Golden Retriever? 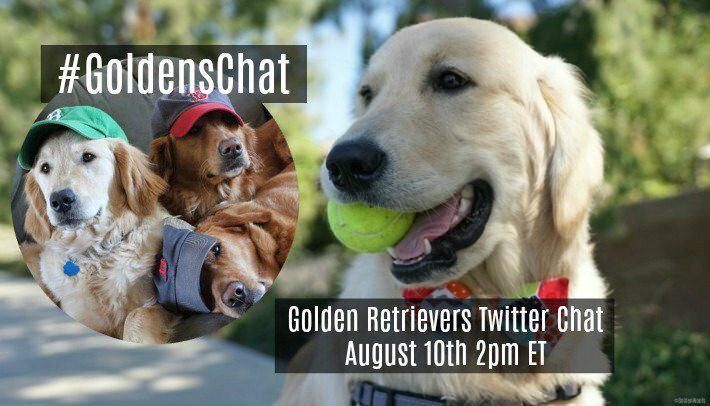 😉 Join Golden Woofs Koru and the gang from Golden Daily Scoop for #GoldensChat, a Golden Retriever Twitter chat this Thursday at 2 p.m. Eastern. 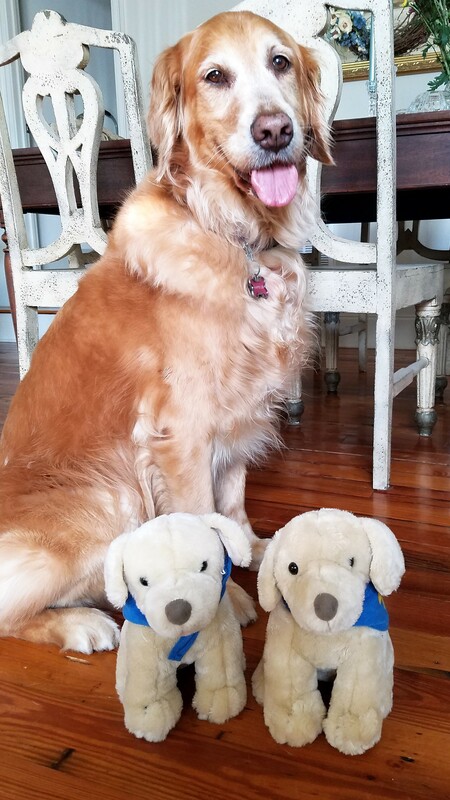 Click here for more info from Golden Woofs. Chat with you Thursday! Several weeks ago, my friend Mia from It’s a Pibble’s Life! nominated me for the One Lovely Blog Award. I cannot thank her enough. Mia is an amazing girl. She lives in Vancouver with her humom and her furbrother, Keiko. Click here to pay Mia a little visit. You’re likely to find her playing in the ocean or racing through the forest. I’ve decided to delegate the duties associated with this award to my little sister, Tallulah. This is a really big deal. It’s her first time to speak on my blog. She just has to do two things: 1) Tell us seven things about herself and 2) nominate 15 bloggers to receive the award. Sounds simple, right? You obviously don’t know my little sister, but here goes. 1. I am a super happy girl. Ok, before I get started, let me just say Wow! I’m blogging! Sissy’s finally letting me speak! Ok, enough of that. I better get serious before she pulls the plug on this little experiment. Where was I? Oh, that’s right. I am a super happy girl. I mean just look at my smile. I’m always smiling and my tail is always wagging. 2. I have a lot of nicknames. My registered name is Rhythm’s Tallulah Bee for Harper Lee. That’s kind of a lot to say, so humans just call me Tallulah. Unless I’m in trouble. And then my human mommy calls me Tallulah Bee, which to me sounds like “Stop it now!” But when I’m being good (which, for the record, is most of the time), my humans call me Bee, Buzzy Bee, Woo Bee, Bee Girl, Bubba, Bubba Bee, and Bubz. 3. I love to watch television. Actually, I love to watch video on anything–televisions, computers, smartphones, anything. I especially like to watch animals, but I also enjoy sporting events and pharmaceutical commercials with little cartoon-like characters. Now you’re going to be looking for those, aren’t you? 4. I’m rather fond of human beds. Technically, I’m not allowed on human beds. But sometimes I just can’t help myself. And when I do take the forbidden leap? Well, I’m just so super cute that the humans give in. Unless the bed is freshly made, and then that’s another story. 5. When it comes to food, I’m a bit of a pig. 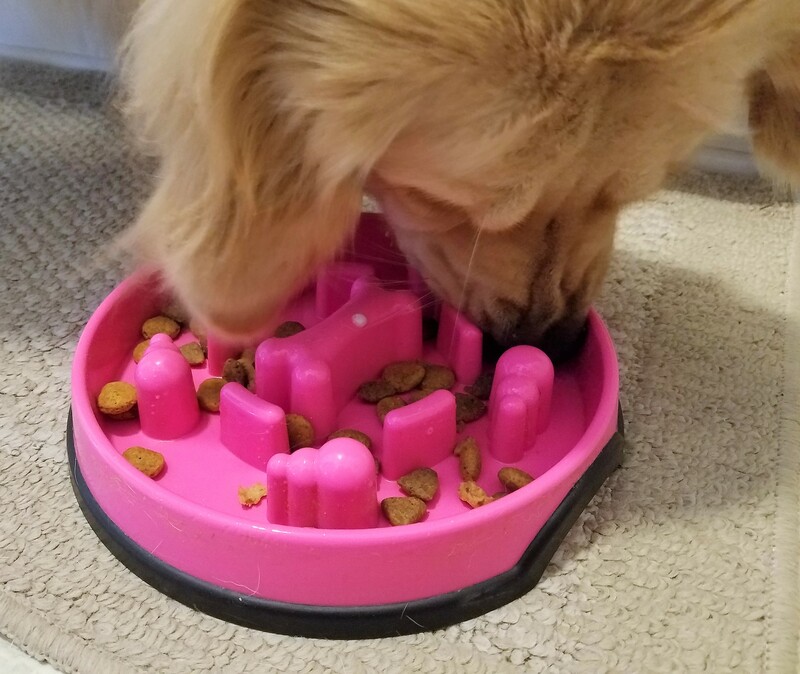 I have a tendency to inhale my meals, so I have this fancy pink bowl that slows me down. Very slightly. 6. I have a drinking problem. Not that kind of drinking problem, sillies. I mean I am not a neat drinker. And I drink gallons of water, so you’d think I’d be better at it. But I’m not. I kind of forget to swallow, and then water runs out of my mouth. Everywhere. Sorry about that, Mommy. 7. I love my big sister with all of my heart. Harper Lee has been the best big sister ever. She’s been patient and kind, and she always looks out for me. I love sleeping right next to her. And sometimes on her. 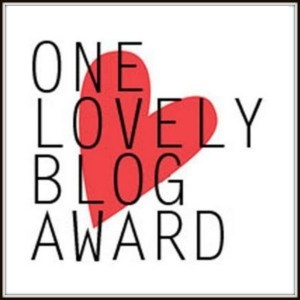 And my nominees for the One Lovely Blog Award are . . . It said up there in the rules that I’m supposed to nominate 15 bloggers for this award. Hey. I’m just a puppy. (Ok, I’m two, but Mommy says we’re using that puppy excuse until I’m three.) I have a short attention span. Fifteen is a big number. How about if I just do eight? That’s more than half, right? And how about if I tell my nominees that they aren’t obligated to follow all of those silly award rules unless they want to. I just want them to know that I’m really happy that my big sister introduced me to them and I really like what they do. Cast Light — This blog reminds us that we can we choose to “cast shadows” (gossip, complaints, cynicism) or to “cast light” (enthusiasm, encouragement, generosity). Golden Retriever Abby and Samoyed Sasha make the occasional appearance. 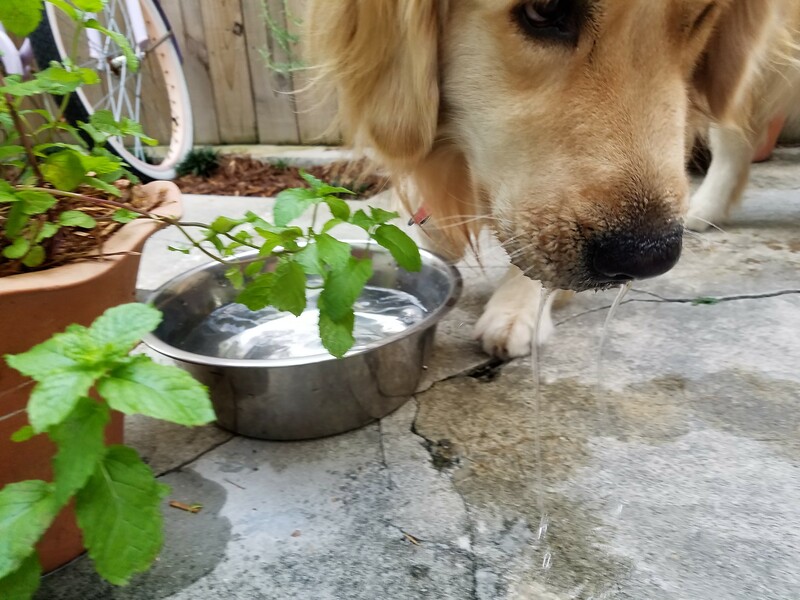 Gardens for Goldens — Escape to the beauty of the Memorial Garden at Homeward Bound Golden Retriever Rescue and Sanctuary and meet the people and dogs who make it such an enchanting place. 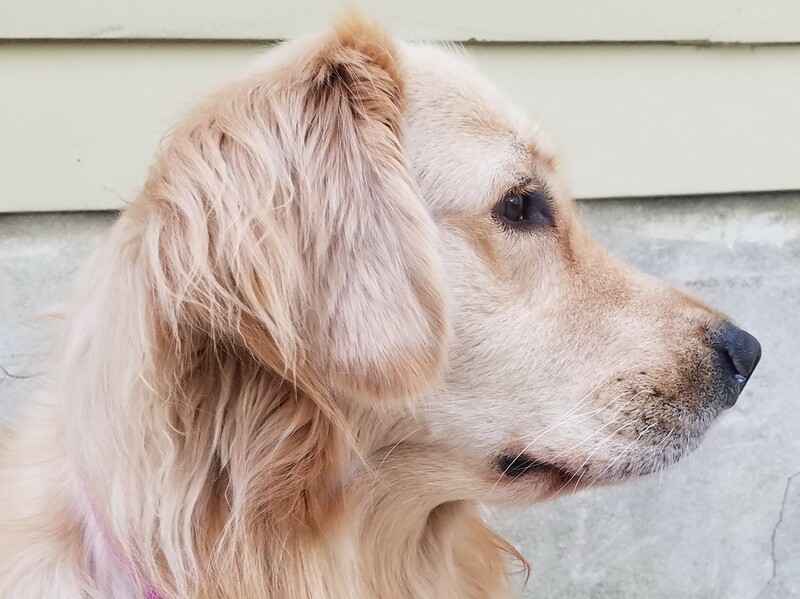 Golden Kali — Golden Retriever Kali lives with her little sister Kloe, also a Golden, in the Sierra Foothills of Northern California. Hey, kind of sounds like my big sister and me, except we live below sea level in South Louisiana. Home Sweet Home Wyoming — Check out the big blue skies and meet cute pups Bear and Sammy. Peace With My Life: Comfort and Compassion Out of Chaos — From time to time, we’re all surrounded by a bit of chaos (you should see my living room when I decide to take all the toys out of the toy basket), so it’s nice to know where you can go for a little peace, comfort, and compassion. And you’ll get to meet a cute pup named Jazz. Piglove — Meet Bacon, the cutest, funniest little piggy ever. And follow the adventures of the whole Hotel Thompson gang. Warning: You will definitely laugh. Saving Sammie: An Adoption Story — Follow the adventures of sisters Sammie (a German Shepherd) and Emma (a Doodleman Pinscher). And these girls have two cats. Not so sure that would work at my house. Haha! Tails Around the Ranch — Sam and Elsa are Standard Poodles. Sam does pet therapy at a large hospital and hospice center and Elsa is his pesky sister who gets into trouble. Hmmmmm, sounds familiar. 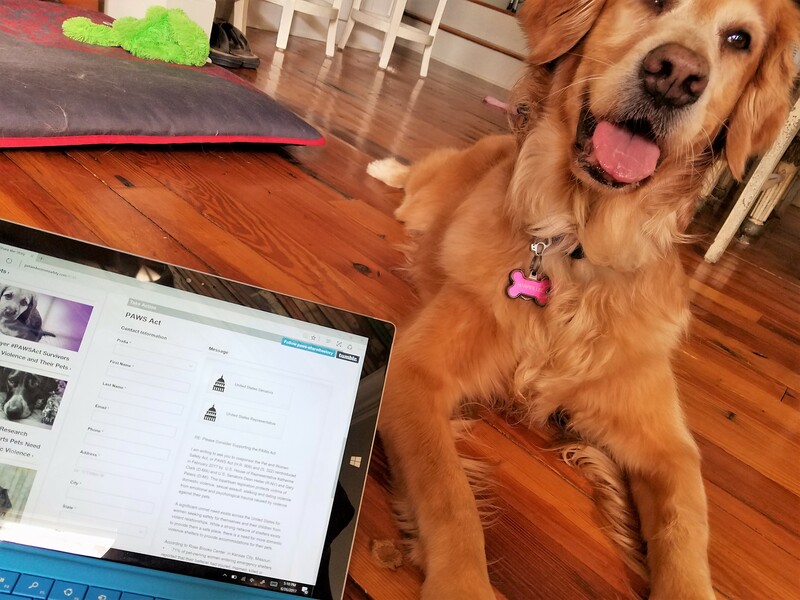 Thank the person (or dog) that nominated you and provide a link to their blog. Display the award on your post. Nominate 15 bloggers (give or take) for this award and comment on one of their posts to let them know you have nominated them. But feel free to ignore the rules. I do it all the time. And have a fabulous weekend! Do my new little puppy friends remind you of anyone? Maybe this will help jog your memory. That’s right. 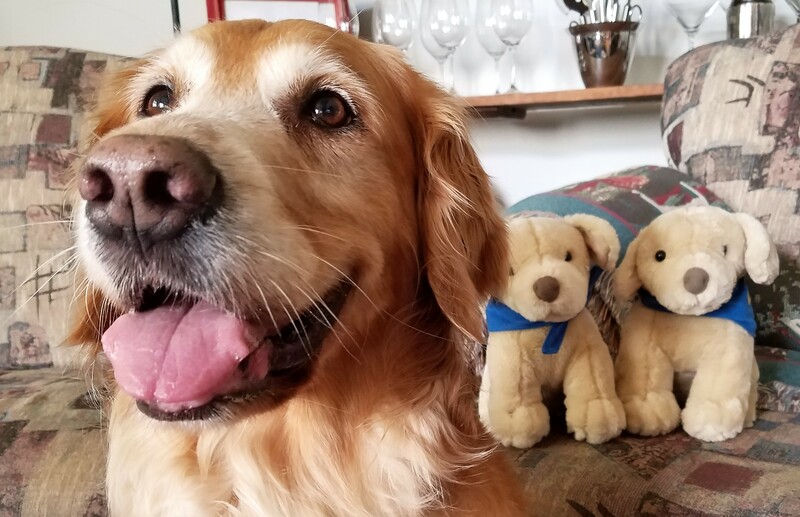 They’re the stuffed version of that cute puppy that sang the Bayer K9 Advantix commercial. Keeping bugs off of dogs and cats is pretty important business, but now the good people at Bayer are involved in something that’s even more important. 71% of pet-owning women entering emergency shelters reported that their batterer had injured, maimed, killed, or threatened family pets for revenge or to psychologically control victims. 48% of domestic violence survivors report they are unable to escape their abusers because they are concerned about what will happen to their pets when they leave. Fewer than 5% of domestic violence shelters across the country accept pets. So what can you do to change those statistics? 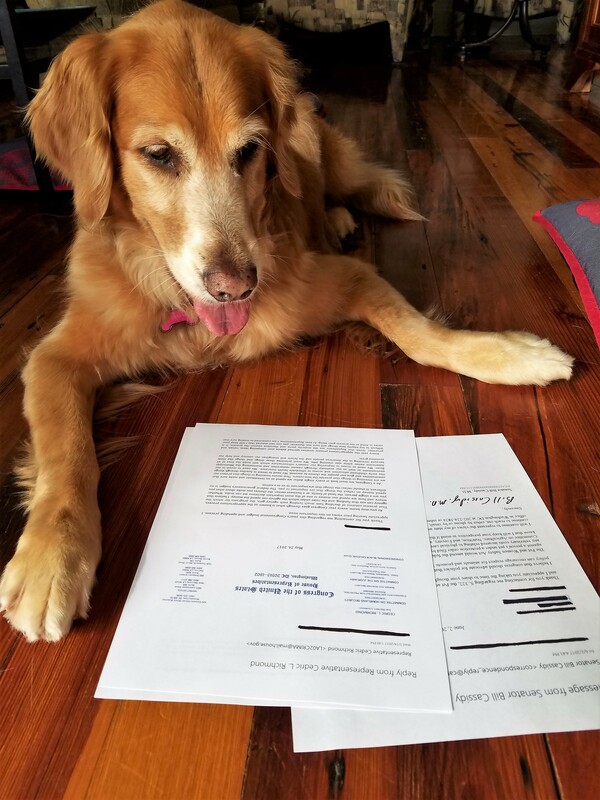 You can start by clicking here to learn more about the PAWS Act and why it’s so important. And then take the next step by writing to your U.S. representatives to urge them to support the PAWS Act. It’s simple. Just click here and scroll down to fill in the information. You don’t even need to know who your representatives are (although you should). The form does all the work for you. 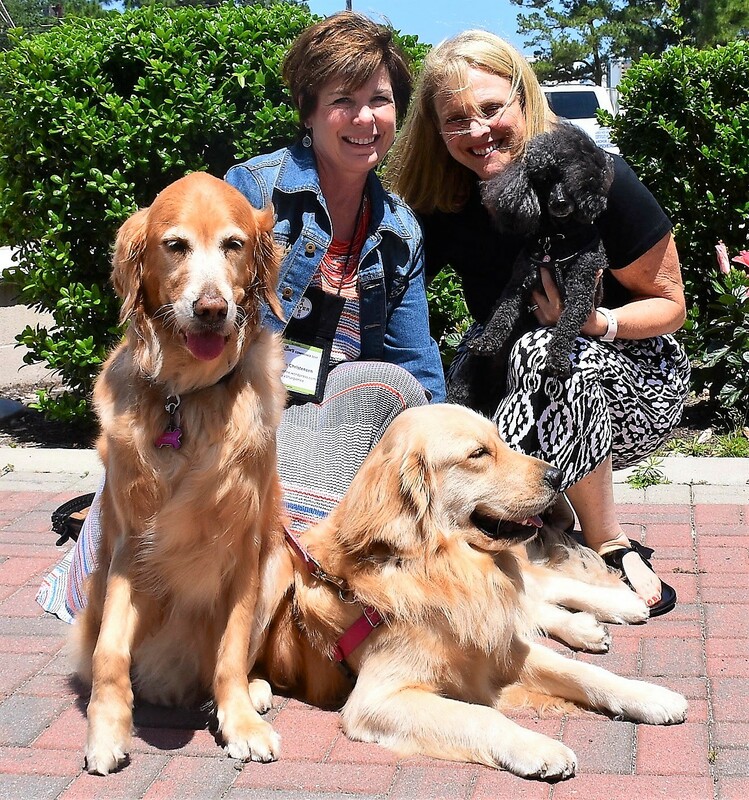 My humans learned about the PAWS Act when we attended the BlogPaws 2017 conference. That’s when my human mommy wrote to our representatives using the form. The results were a little mixed. Representative Cedric Richmond responded quickly, but his obvious form letter was all about this year’s congressional budget and spending process . . . not one mention of or reference to the PAWS Act. At least Senator Bill Cassidy’s letter referenced the actual act and called it “important,” before he said that it’s been referred to a committee on which he doesn’t serve. And from Senator John Kennedy . . . well, Mommy has yet to hear from our junior senator. But she’s not giving up, and I hope you won’t either. We’ve covered some pretty serious stuff today. I don’t often write about serious things, but this is important. 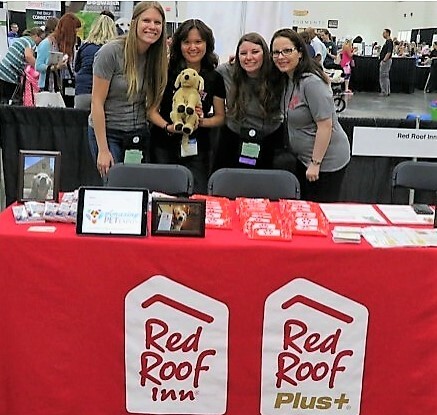 At the BlogPaws conference, Mommy met a lady who had to make the difficult choice to stay in an abusive situation or go to a shelter but leave her pets behind. You can imagine how important her pets were to her. As she said, they were all she had. Fortunately, she found a local shelter that accepts pets. Not all victims of abuse and their pets are as lucky. 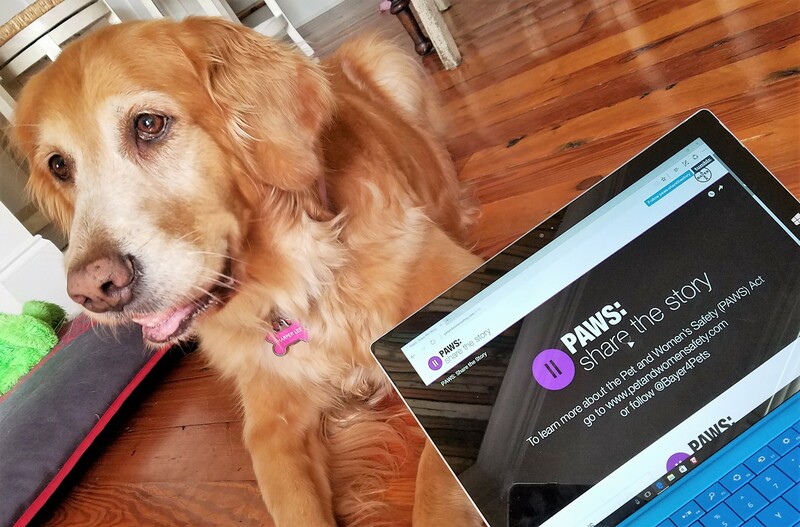 I hope you’ll take just a few minutes to learn more about the PAWS Act and to take action to protect victims of domestic abuse and their pets across the United States. It’s important. 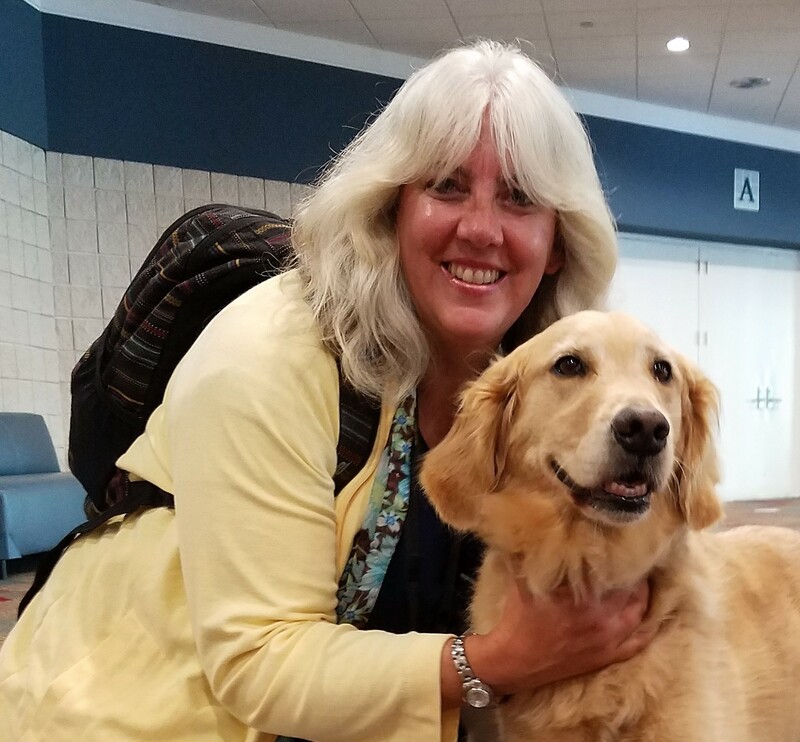 There are a whole lot of great things about a BlogPaws conference, but the greatest in my book has to be the people and pets you meet. They’re all so super nice. Way back in March, my human mommy started counting down the days until she’d meet my dear friend Bear’s mom. 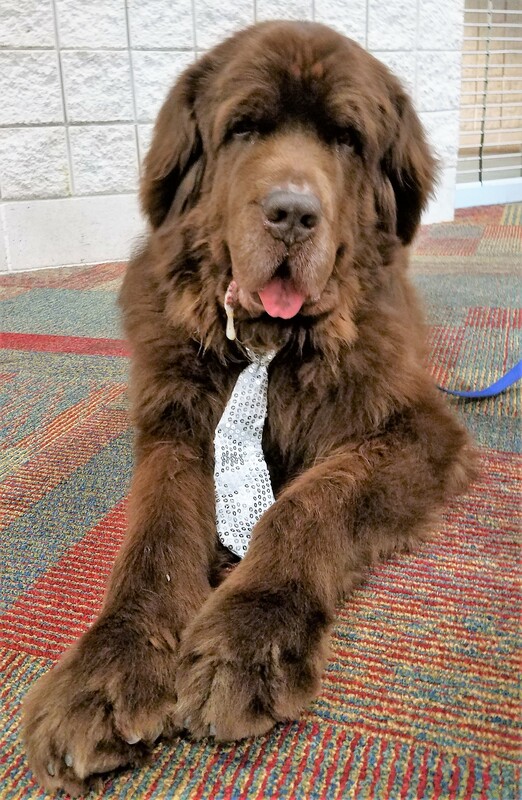 We fell in love with Bear when we discovered his Love always, Bear blog, and it shattered my mommy’s heart the day Bear crossed the Rainbow Bridge. When our mommies finally met last month, it was as if they’d been friends forever. I guess Goldens just have a way of connecting people. That’s Bear’s mom on the right holding his sister Rosy. Rosy writes a blog called Rosy Reports and, as Rosy would say, it’s fab. So fab that she was a finalist for not one but two BlogPaws Nose-to-Nose Awards. Tallulah and I were honored to pose with her before the big awards dinner, and we were beyond thrilled that Mommy finally got to hug Bear’s mom and we finally got to meet his fabulous sister Rosy. 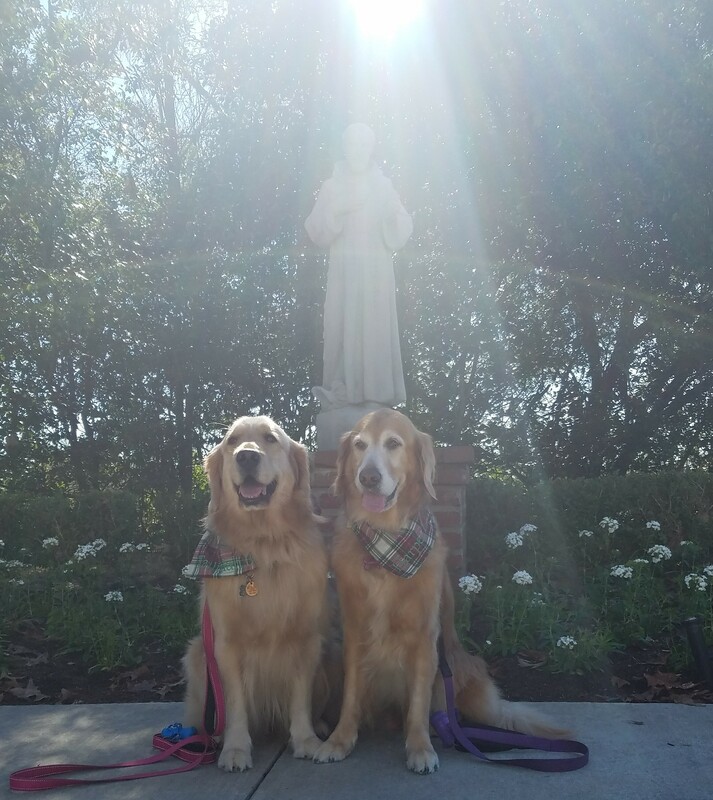 We were crushed when another Golden friend, Sugar, crossed the Rainbow Bridge just a couple of months before the BlogPaws conference. 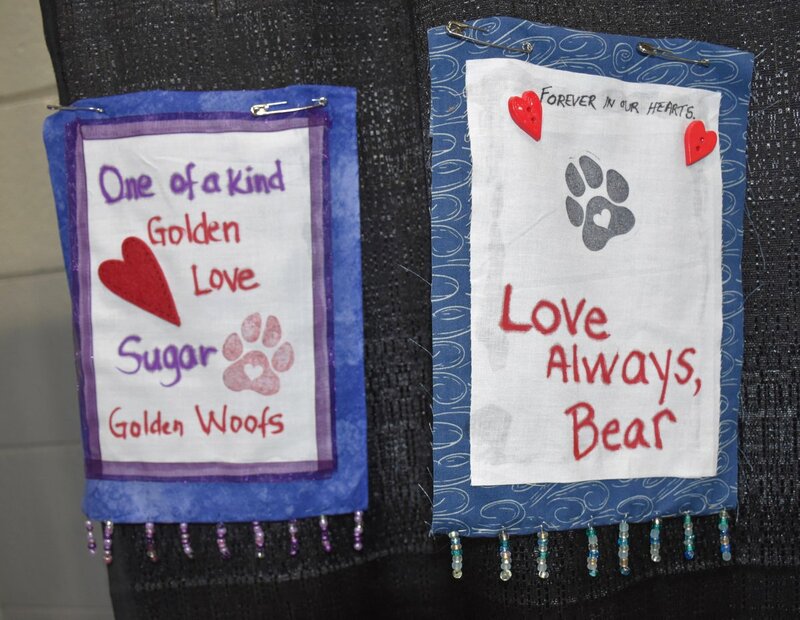 How fitting that our friends Sugar and Bear were side-by-side when the 2017 conference Honor Flags were displayed. That’s Sugar’s mom holding stuffed Goldie at the conference. (Mommy and Sugar’s mom were so busy hugging every time they saw each other that silly Mommy didn’t think about getting a photo.) 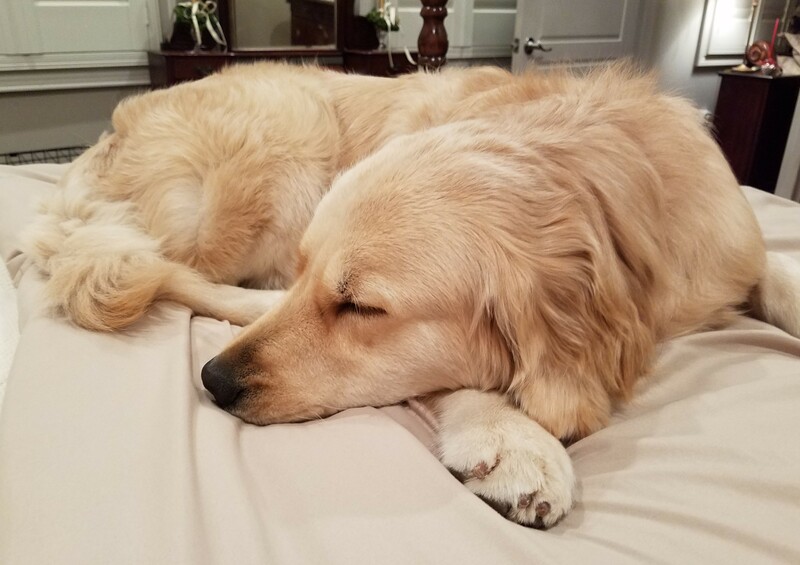 I’m so super happy to report that just as soon as Sugar’s mom and dad got home from BlogPaws 2017 they welcomed a new Golden Retriever into their home and into their hearts. His name is Koru Bear and you can click here to see how incredibly handsome he is. 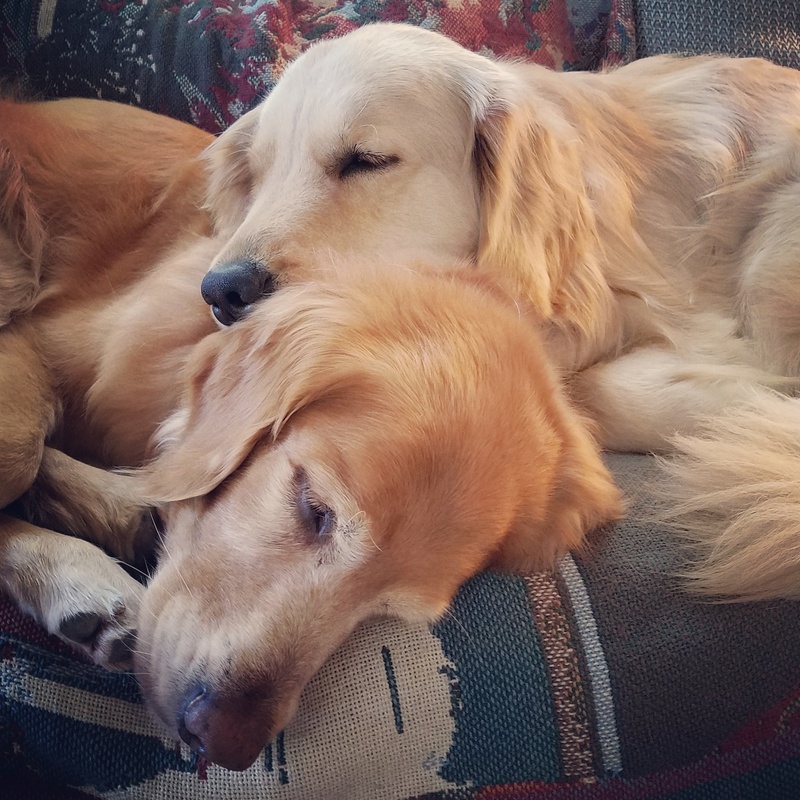 Keeping with the Golden theme, meet Honey and her mom. Sweet doesn’t even begin to describe these two. They’re like the best cupcake ever piled high with the richest icing you’ve ever eaten and covered with sprinkles. Yep, that sweet. Honey’s mom blogs at Something Wagging This Way Comes and–get this–they live on a sailboat. It was such a thrill to meet them, and we cannot wait to follow their nautical adventures. Now I don’t want you to think we only hung out with Golden Retrievers and their humans while we were at BlogPaws 2017. We also met Leroy from My Brown Newfies. Leroy’s mom probably thought my human mommy was a crazy stalker when she leapt from the car and dashed toward Leroy the minute we got to the conference hotel. But, I mean really, who doesn’t love a big handsome hairy guy who drools? And mommy wasn’t the only one with a BlogPaws 2017 crush. My little sister Tallulah fell in love with Echo from A Girl & Her Husky. Yep, my little sister was that woman who goes to an out-of-town business conference and has a fling. You can’t really blame her. Echo was pretty sharp in his red carpet attire. I guess what happens at BlogPaws stays at BlogPaws . . . wink, wink. 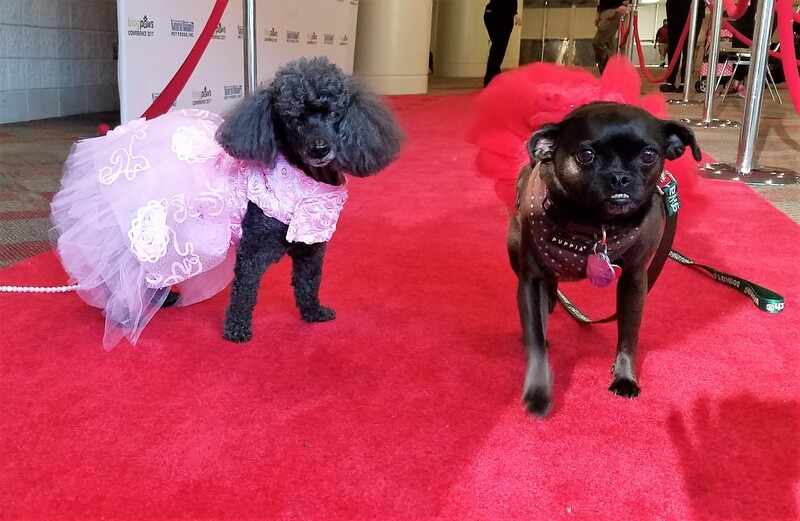 Finally meet Lucy with the Underbite, an adorable Chihuahua-Pug mix who had the time of her life strutting her stuff on the red carpet with Rosy. 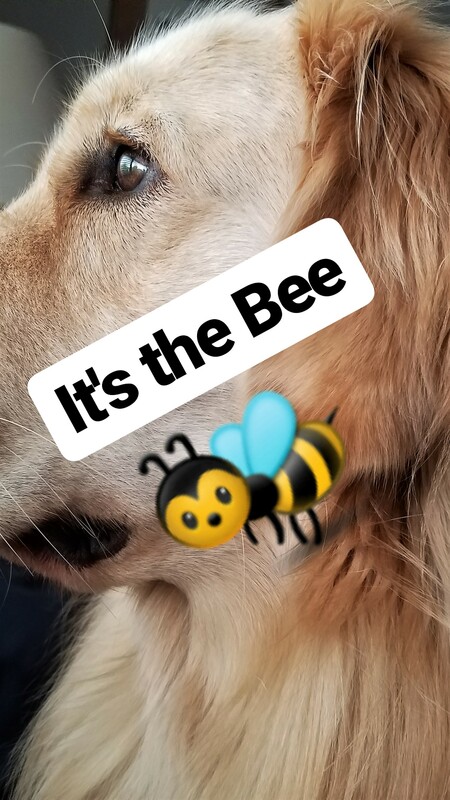 Lucy and her mom work with DogWatch Hidden Fences, a conference exhibitor, and Lucy has the most adorable Instagram account. Check her out here. 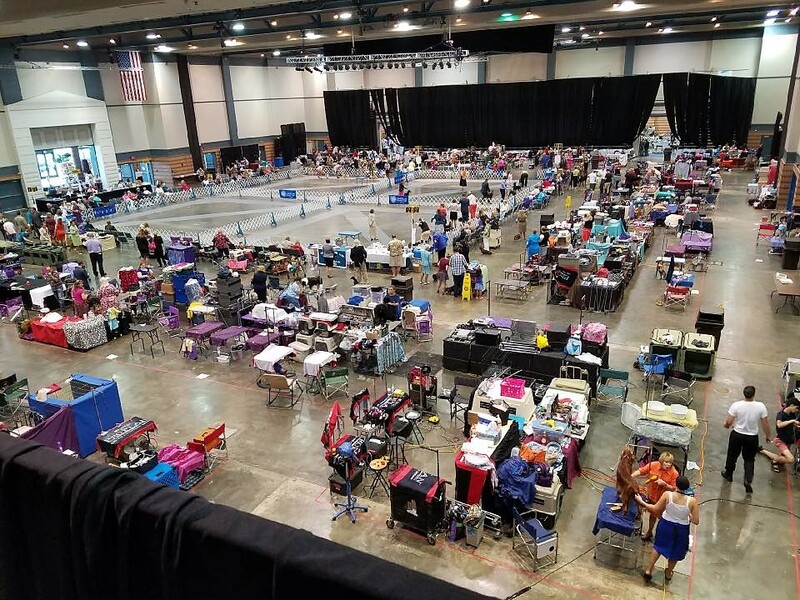 I could go on and on about all the amazing people and pets we met at BlogPaws 2017, but I have a better idea. 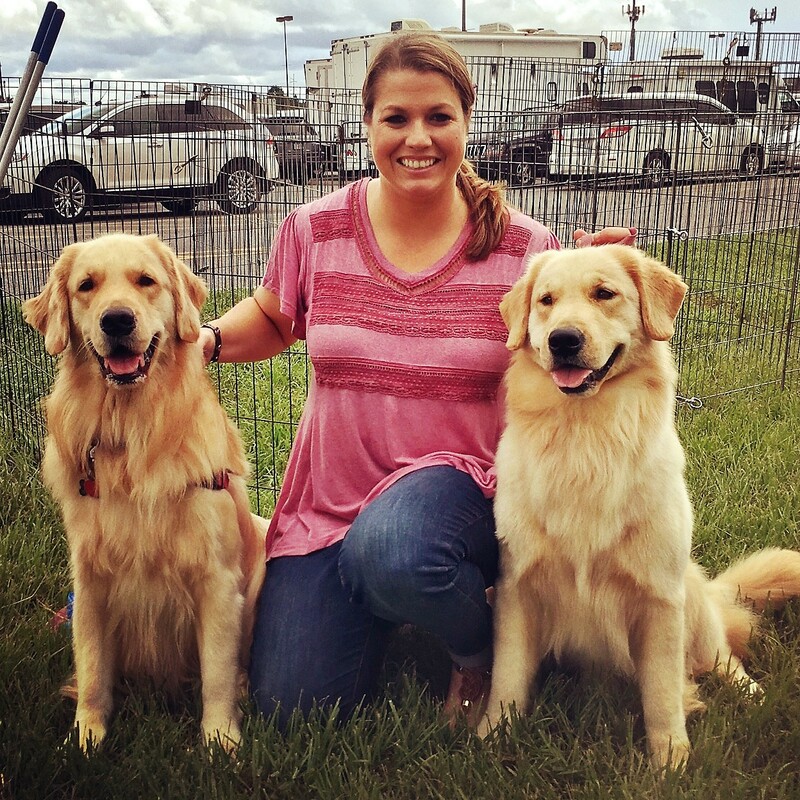 Why don’t you make plans to attend BlogPaws 2018 in Kansas City, Missouri? I promise you’ll meet a whole lot of super nice people and pets.